The hip is a much more stable joint than the shoulder and therefore less vulnerable to trauma and soft tissue damage. 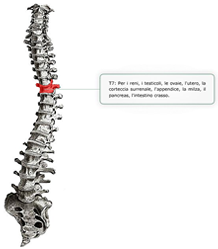 However, as a weight–bearing joint, it is prone to bony joint stress and degenerative changes. The term "coxarthrosis" is included here because it is commonly used to describe general pain at the hip. It should be noted that the proper definition of coxarthrosis is non-inflammatory degenerative disease of the hip joint. Hip pain may be due to an intrinsic pathology or come from a lesion at the joint itself. There may also be referred pain from any number of structurally and neurologically related areas of the body. More often than not however, pain at the hip is the result of more general, systemic factors. This can be anything from high cholesterol to dysbiosis in the gut. People often complain of hip pain when, in fact, the problem is deep in the low back or buttocks. As a specialist in musculo-skeletal related conditions, Dr. Morrison is able to differentiate the true anatomical sources of pain in order to get at the roots of the problem. Hip pathology can have numerous causes, therefore it is necessary to evaluate thoroughly before committing to a treatment plan. Compared with other health care professions, Chiropractic has a long tradition of remediating hip pain. When standard techniques are combined with the those of Applied Kinesiology, relief tends to be of a more permanent nature.